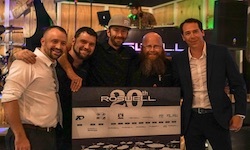 Rockledge, FL(June 15, 2018) - Tonight, Roswell celebrates 20 years of innovation alongside representatives from the industry’s top boat manufacturers and dealers at Roswell Global headquarters in Rockledge, Florida. What began as an idea born out of passion has transformed into a dream realized, creating products that deliver the best possible experience on the water. Staying true to an inspiring mindset that pushes forward with no reservations, 20 years of Roswell has proven that through vision, passion, and persistence, anything is possible. 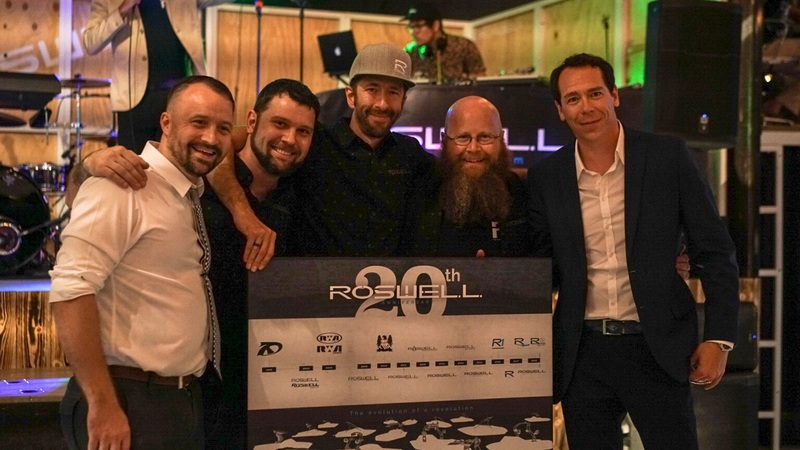 In true Roswell fashion; family, friends, industry partners and colleagues have come together for one night that represents just how far we’ve all come. While many stories and passion projects end in the garage where they started, Roswell has grown into a company driven to excellence with design and manufacturing capabilities from concept to completion. A true innovator at heart, looking through Robert Oswell’s eyes opens a world of possibility in which we can always find a way to do things better and no is never an answer. This vision and energy flows into every fiber of Roswell from the team hand-picked for greatness, to 20 years of products that have changed the way we experience moments on the water. Developing technology that has revolutionized the industry is only the beginning. Partnering with the world’s leading brands, Roswell has become a stamp of excellence and a proven solution for marine audio and accessories featured on boats that set the highest standard in the industry. A history that began with a new look at how an elevated tow point should feel at the end of the rope with the X-Tension pylon, to the industry’s first swivel board racks and universal tower has become a name that defines innovation on the water. “With quality in our hearts and innovation at our core, Roswell will move into the future continuing to work with our partners to be a part of your moments on the water. It is a privilege to design and build products for the best boat brands in the world as a part what continues to push the industry forward. In over 20 years of working passionately alongside the most innovative hearts and minds, the feeling of appreciation for these relationships continues to grow every day. Being a part of what brings so many people the perfect moment on the water we all live for is our way of giving back to the industry and lifestyle that has made all of this possible,” said Chairman, and CEO Robert Oswell.